Not for the first time, Jose Augusto Cadena has cashed in on his own club's demise. With a thumb pointing to the sky and a grin spreading across his face, Cucuta Deportivo skipper Gustavo Bolivar did little to disguise his delight. Soaking up the moment for the cameras, he winked before shooting off down the tunnel. After the 30-year-old’s smile was splashed across newspapers the following day, social media howled with rage and he was warned to watch his back. Yet for many, the club’s captain wasn’t the real villain in a season to forget for Cucuta; the real anger was reserved for club owner Jose Augusto Cadena. A success-starved team struggling at the wrong end of the table, with a big potential fan base, but hampered by a chronic lack of investment, the club would fit snugly with Cadena’s business strategy. Hope had long gone at Bucaramanga and, initially, the new owner sought to restore it. But two years later they were relegated to the second division. Cadena had fought with players and coaches, sold the club’s biggest stars and left the youth team to fulfil league fixtures. Cadena was eventually forced to sell up, but when doing so in 2012 he received almost seven times the sum he had originally paid. And the “success of failure” strategy didn’t end there. Later that year he became president of promoted Patriotas after a transparency law had forced the club from Tunja to become a PLC. Cadena acquired 46 per cent of the club for £368,000 and once again he promised to rekindle supporters’ dreams. But instead of a return to winning ways, the players threatened to strike over unpaid wages as the debts mounted. Cadena’s asset-stripping project at Patriotas was derailed in 2013 after the local council – who had been the previous majority shareholder – exerted heavy pressure and investigations were opened on how Cadena had acquired the club. Once again, the businessman sold his share for a higher price. And by the end of the same year Cadena had his eyes on a new prize: Cucuta Deportivo. With the 2006 Colombian champions in the second division and on the verge of bankruptcy, Cadena claimed he would turn things around. With money worries initially eased, the team finished the 2014 season in sixth place, but were then eliminated in the promotion play-offs by Llaneros. Salvation arrived, however, via a tweak in the rules when league organisers Dimayor announced an impromptu promotion tournament to inject new life into the top division. They offered two golden tickets to “historic” clubs who had fallen on hard times as part of a newly expanded 20-club top-flight and Cucuta got lucky, winning promotion with a handball goal from Paraguayan striker Mario Lazaga. Back in the Primera A, Cucuta attracted 42,000 fans for their opening game against Junior in February 2015. In an encouraging start they won 1-0, but behind the scenes Cadena was already making enemies. In March, coach Alberto Suarez was sacked after just eight games, while Lazaga and star midfielder Franco Sosa mysteriously left the club. In came unknown Argentinian coach Marcelo Fuentes, but he lasted less than two months before being replaced by Flavio Torres, who also failed to see the year out. Cadena’s strategy of maintaining the club in permanent turmoil was a deliberate attempt to achieve his ultimate objective: relegation back to the second division. Following accusations from city mayor Donamaris Ramirez-Paris Lobo that Cadena had “cheated” the city and “didn’t deserve to be involved in football”, the businessman responded to this “lack of local political support” by threatening to pull his team out of the city and set up elsewhere. Despite opposition from the club’s fans, Dimayor approved the move at its November meeting. 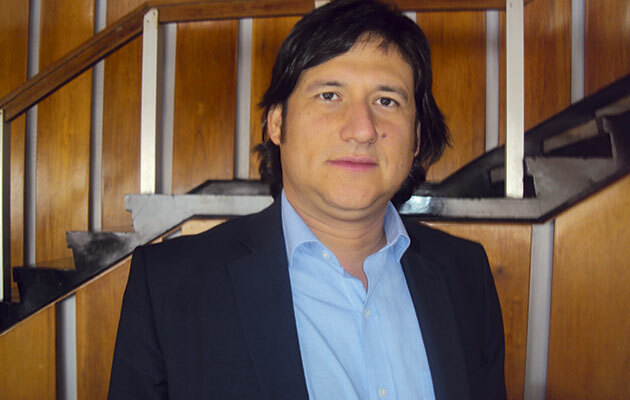 “Football is and must be a business,” Cadena once explained to Colombian newspaper El Tiempo. It was hardly an unusual philosophy for the modern game, but this maxim had an added dimension. Due to the way TV money is divided between Colombia’s 36 pro clubs, there is a financial incentive for unscrupulous owners to fail. This is because the clubs are divided into two camps: with 23 “historic” teams that take 90 per cent of the television pot and 13 Category B sides who receive the other 10 per cent. Under Dimayor’s definition, an historic team is one that at some point has served three years in the top flight. This means that sides such as Cucuta can slip into the second tier but continue to claim the same slice of television cash as leading clubs Millonarios and Atletico Nacional. So, although TV revenue remains untouched, player wages and other second-division costs go down, creating a perverse format that is open to abuse. While Cadena is perhaps the most egregious and skilled architect of exploiting team failure for private profit, he’s not the only owner to have benefitted through a lack of success on the pitch. Four-times Copa Libertadores runners-up America de Cali, for example, are another case in point. Relegated in 2011, they still languish in the second tier five years later, with fans long pointing the finger at club owners for constructing a policy of avoiding promotion at all costs. Unless the football authorities in Colombia implement some sort of control and fans are given a voice, Cucuta could face a similar future.